Facebook recently rolled out a new product called “Lead Ads.” Lead Ads were designed to give people a fast, easy and privacy-safe way to sign up to receive information from businesses right from their mobile phone and without leaving Facebook. Consumers expect to be able to do everything from their phones and Lead Ads make it easy for consumers to signal a business and let them know they are interested in learning more about their products or services. Lead Ads allow advertisers to collect information from prospects directly from mobile ads. Instead of sending traffic to a landing page where people manually fill out a form and press submit, they click on the ad, their information (name & email) is pre-populated, and they hit submit. All within the Facebook platform. Awesome, right? Lead Ads launched just a few months ago, and advertisers are already seeing tremendous success. Advertisers are receiving high quality leads, and at a fraction of the price. For example, when Mazda switched to Facebook Leads Ads, they got 5X the number of leads compared to ads linking to their website, while cost per lead dropped 85%. Vacation discount website, Secret Escapes, used lead ads to make it easy for people to sign up for their email list directly from Facebook. Their cost per lead was 52% more efficient than other Facebook advertising, with twice as many sign-ups. Fitness company, Peloton used Lead Ads to drive a 15% increase in leads compared to their link to their website ad campaigns, with a 67% lower cost per conversion. Even though Lead Ads are already leading to excellent response, Facebook just announced they are adding new features that help businesses get even more out of them. Facebook Lead Ads are now available in the carousel format, enabling businesses to showcase three to five images and headlines before people click through to the lead form. Advertisers can use the carousel ads to provide details about and benefits of submitting their form. Lead Ads are now available on desktop as well as mobile, making it easy for businesses to connect with people on any device. We like to build campaigns with elements from all parts of the sales funnel. However, the most important piece to include is the retargeting element. This is because it is much easier to sell your products or services to existing customers, rather than to find new ones. One of the best new ways to do this, is to use Facebook’s Custom Audience feature. This allows for you to match your existing customers to their profiles on Facebook by using data you’ve collected such as name, email address, or phone number. But wait! There’s more! Facebook has now allowed for multiple point matching, meaning that you can now match multiple points of data at once giving you an even better match rate. What does this mean exactly? Before, a custom audience was limited to matching a single data point, such as a person’s email address. 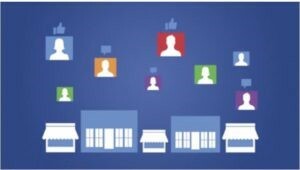 This means that if your customer used a separate email for their Facebook profile than the one you have, you would not be able to target them. With multiple point matching, if that same customer instead listed his/her phone number, you would then be able to target him. This improves match rate dramatically, giving you the ability to target even more of your own customers. So who should use a Custom Audience? Everyone! Any business or company who collects customer data can benefit from this awesome targeting tool. Facebook has seen success from a number of different companies such as a multi-media company, a food delivery service, and even an artisan photo book creator. Because this way of targeting is theoretically “retargeting”, the ROI is very high, since customers will already be familiar with our brand. If you are interested in creating a Custom Audience for your Facebook News Feed or Instagram News Feed campaign (or both! ), all you will need to do is let us know, and send us your data list as a CSV or TXT. We will then check it with Facebook to get an idea of how many matches there are. It’s that simple! Help stores meet their sales goals: Some franchise groups, to make sure they are using their marketing budgets efficiently, track sales at each location and then run ads for the stores that haven’t yet met their monthly quota. Local Awareness ads can help boost sales for those underperforming locations.